Looking for something new? 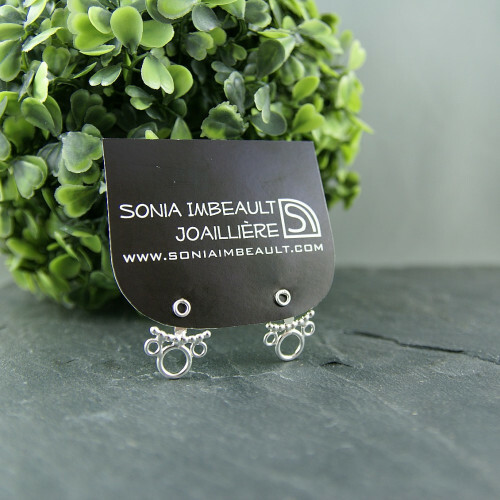 These earrings are the best way to add originality to your everyday style! 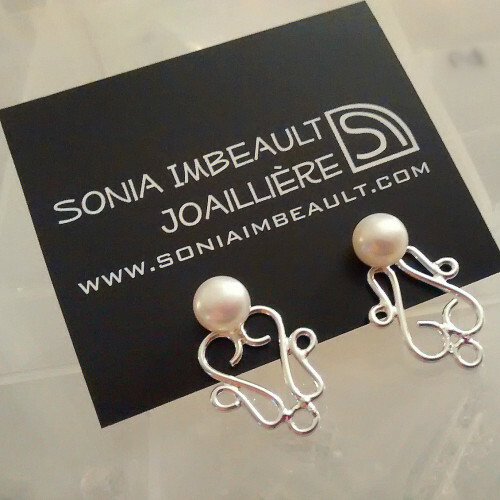 These earrings, called «Ear jackets», are made a sterling silver stud, and a decorative removable part (the jacket), made of sterling silver as well. 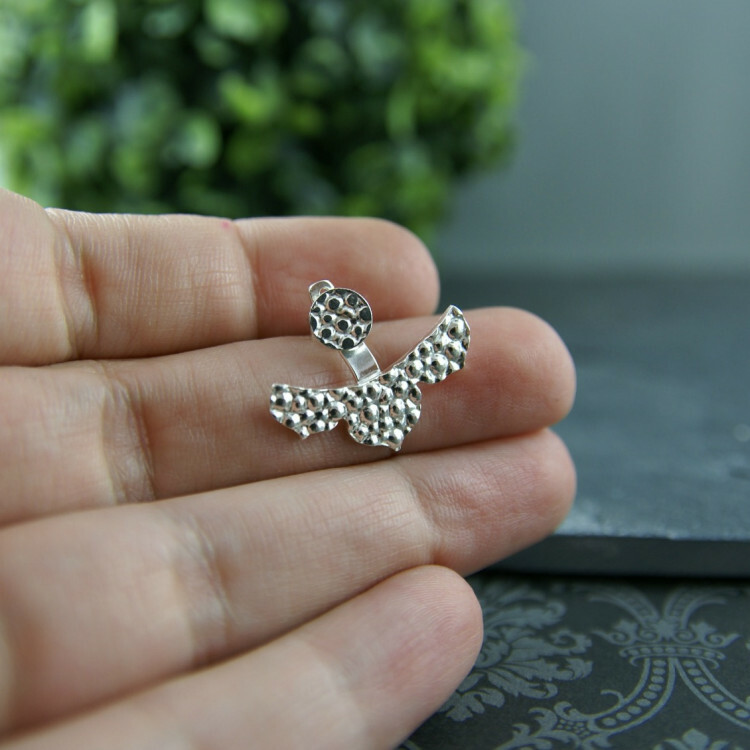 You can wear the silver stud alone, or add the jacket part to nicely decorate your earlobe with a delicate silver lace. They are light, elegant, and so comfortable. 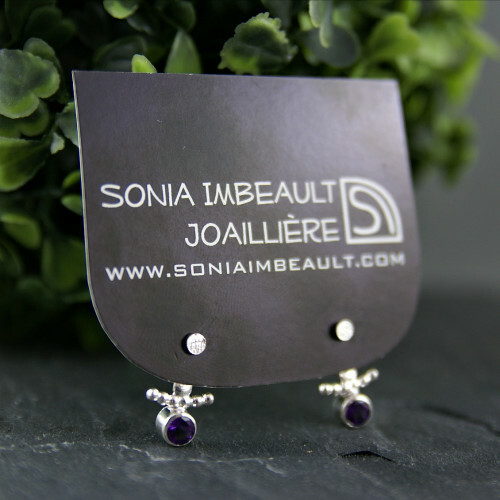 If you have other pearls or gemstones at home, mounted on a stud, you can alternate and use the with the jacket part to create many styles! The jacket is adjustable: there are many holes in it so you can choose the one that fits your ear lobe best! It is gently textured and very shiny. 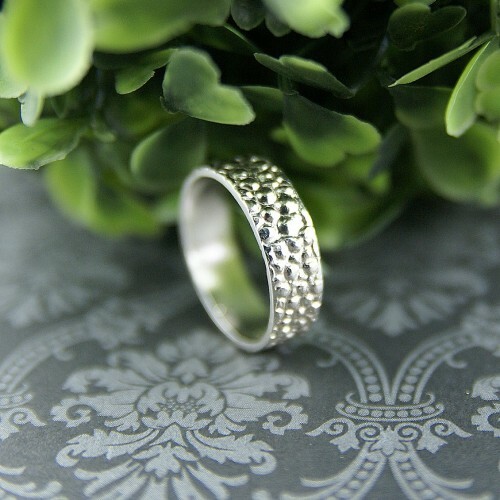 Perfect as a gift for someone you love, or to treat yourself (you derserve it! 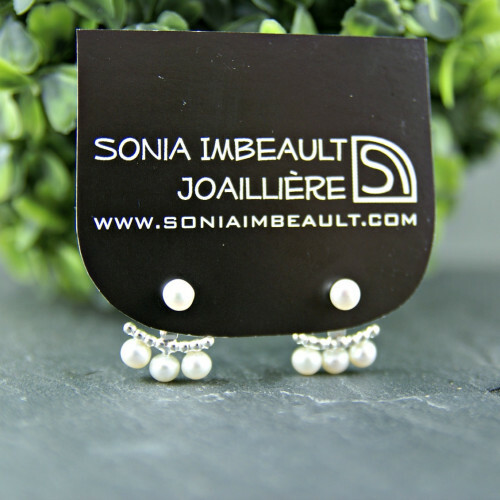 ), these earrings are delivered in a cute little pouch. 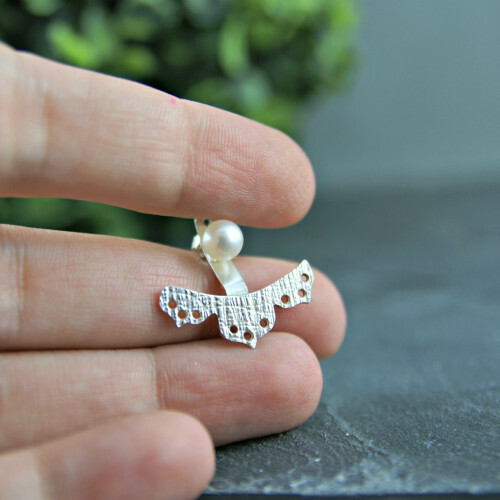 Sterling Silver Lace Ear Jacket with Freshwater pearls Dimensions : 22mm X 22mm X 18mm Weight : ..
Sterling silver Triple Pearls Ear Jacket Dimensions : 22mm X 22mm X 18mm Weight : 4,3g / 5g with..
Sterling Silver Ear Jacket with gemstones Dimensions : 12mm X 18mm X 10mm Weight : 4,3g / 5g wit..
Sterling Silver Circle Ear Jacket Dimensions : 18mm X 16mm X 10mm Weight : 4,3g / 5g with pouch.. 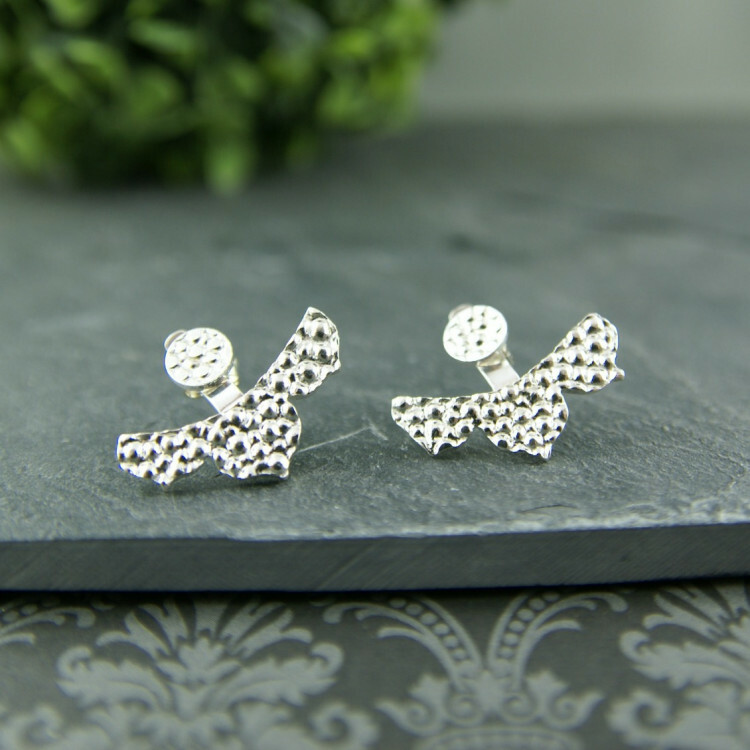 Multiple ways Sterling Silver Ear Jackets Dimensions : 18mm X 14mm X 10mm Weight : 4,3g / 5g wi..